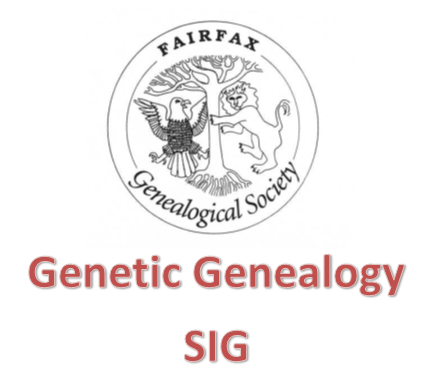 Welcome you to the website of the Fairfax Genealogical Society (FxGS)! The Society provides education and training for family history researchers in the Fairfax County, Virginia, area. Although based in Fairfax, many of our members are not native to the area and so our research endeavors are not restricted to local genealogy. Indeed our interests are national and international in scope as may be reflected in the breadth of our varied Special Interest Groups (SIGs). We invite you to join us for our next program and, of course, we would love for you to consider membership in our Society. Upcoming events, field trips, Special Interest Group reports, and more! If you have a story, trip report or photograph that you'd like to share with your fellow members, please email newsletter@fxgs.org. Did you know that the shopping you do on Amazon.com can benefit the Fairfax Genealogical Society? Amazon.com operates AmazonSmile that lets customers enjoy the same wide selection of products, low prices, and convenient shopping features as on Amazon.com. The difference is that when customers shop on AmazonSmile (smile.amazon.com), the AmazonSmile Foundation will donate 0.5% of the price of eligible purchases to the Fairfax Genealogical Society or another registered charity of your choice. The Fairfax Genealogical Society (FxGS) is now accepting speaker proposals for its 2019-20 programs. Information regarding the proposal solicitation can be found on the Call for Presentations page while list of the previous 2012-2019 FxGS monthly programs can be obtained by clicking here. Proposals will be accepted for monthly general meetings September 2019 through May 2020, monthly education classes September 2019 through May 2020, a one-day fair to be held 26 October 2019, and a two-day conference to be held 3-4 April 2020. All events are held in Fairfax County, which is in northern Virginia, just west of Washington, D.C. Honorariums will be given to all speakers, additional information can be found in the call for papers solicitation. The Society is always looking for new and exciting topics that span the range of genealogy and family history research. Topics may include any facet of genealogical research. Subjects should draw on the lecturer’s areas of expertise, yet be broad enough to appeal to a general audience. The deadline for submitting proposals for any of these events will be 1 March 2019. The Fairfax Genealogical Society was founded as a not-for-profit organization in 1974 to provide educational opportunities to the genealogical community; to promote cooperation and support among genealogists; to encourage sound genealogical methods, standards of accuracy, and scholarly research; and to aid those doing research in the national capital area. The Society has over 400 members, who meet for lectures, educational programs, workshops and field trips. The Fairfax Genealogical Society has a Twitter account, @FxGenSoc! Follow us for the latest happenings from our society meetings, education sessions and events!